G.A.N.G. Sincerely thanks it’s sponsors for their generous support. We encourage you to support these wonderful companies as their support makes the Game Audio Network Guild a reality. 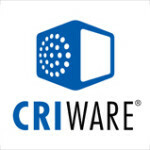 Based in Shibuya, Japan, CRI Middleware pioneered audio and video CODEC technology with SEGA in the early '90's and is now a leading provider of multi-platform audio and video solutions for interactive media including the flagship development toolkit, CRIWARE. CRIWARE includes ADX2, the audio middleware engine and authoring tool, and Sofdec2, the video encoder and movie player. ADX2 features a highly intuitive UI inspired by the most popular DAWs that makes audio implementation easy. Sofdec2 gives you the tools to effortlessly combine cinematics with interactive content. Both ADX2 and Sofdec2 feature blazing fast, high performance proprietary CODECs. 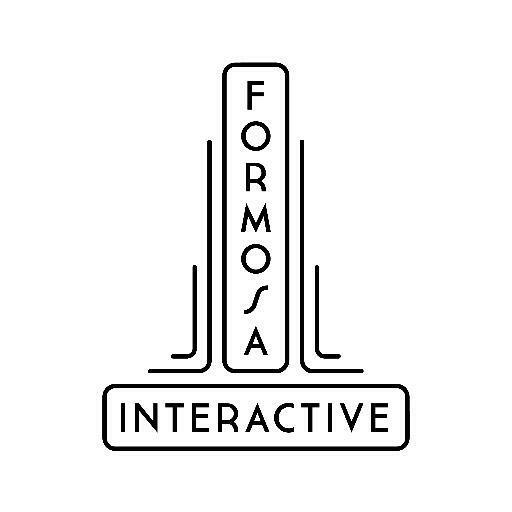 Formosa Interactive is L.A.’s veteran team of professionals and pioneers specializing in audio development for AAA games. Our team offers end to end content development services, including sound design, music, voice over, performance capture support, field recording, foley, linear and non-linear spatial audio mixing, mastering and full engine implementation. We are fully engaged with the latest AR/VR/MR platforms, and use the latest ambisonic recording techniques, HRTF playback technologies, middleware plugins in partnership with immersive audio technology providers like Dolby and DTS. Our mission is to support the creative goals of global Developers and Publishers by providing creative content and true co-development with exceptional results. We are pleased to offer mentorship and education to the next generation of sound designers and composers in the game community through microtalks, internships and other outreach initiatives throughout the year. Since 1991, Music Marketing has been providing some of the best and most inspiring music technology products for musicians in North America. The Toronto-based company has one mission: find music technology products that musicians need in order to create better music and to introduce these products to the vibrant North American market. Composing music for video games is more than just uploading wave files to an FTP site. Video game sound design requires more than great ProTools chops. GameSoundCon teaches the core concepts, practical skills and game audio training to get a music or sound design job in the video game industry. Don't miss your chance to learn from the top experts in the business. Seating is limited so Register Today. Writing music for video games takes specialized tools, techniques and creative solutions they don't teach in music school. Don't miss your chance to learn from the top experts in the business - register today! Pyramind is a creative studio services group, music production school and online learning network. Our Sound for Picture & Games Program is designed to prepare sound designers, producers and composers for careers in interactive media. Our graduates have gone on to work at Disney Interactive, Double Fine Productions, Blizzard Entertainment, Zynga, Sony, Microsoft and more. We offer ground campus and online learning with the most in-depth one year music production training program on the planet. Certifications available in Wwise, Unity, Pro Tools, Logic Pro, and Ableton Live. Schedule a tour of our San Francisco multi-studio complex and event space and meet some of our staff made up of over thirty trainers & producers and over fifty global mentors. Our studio services group provides sound design, music and audio post-production for some of the biggest names in interactive entertainment and helps to inform the development of our training programs and mentorship network. Projects include: Watch Dogs 2, Halo Anniversary, Sunset Overdrive, World Of Warcraft, Grim Fandango Remastered, Arcade Saga VR and Tron Run/r. Founded in 1984, Steinberg today is one of the largest manufacturers of software and hardware for music production, TV and film post-production, game audio and the broadcast industry. Inspiring musicians and producers by delivering superior tools for composing, recording and mixing, Cubase is a household name in the music industry. Complementing the audio production workflow, WaveLab caters to the needs of mastering and audio restoration applications. The first choice in game audio production, TV and film post-production and broadcast is Nuendo, offering more unique tools for these industries than any other software solution. 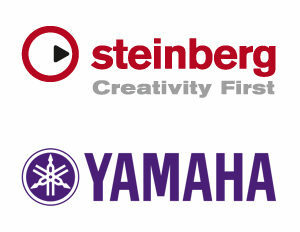 Since January 2005, Steinberg is a wholly owned subsidiary of Yamaha Corporation, the world’s leading manufacturer of audio hardware. This close collaboration allows Steinberg to provide a wide range of audio interfaces and controllers that cover the demands and requirements of aspiring producers, musicians and commercial studio environments alike. Crafting experiences that challenge the clichéd tactics of the past, Defiant is the PR and branding agency that connects creative people and companies with people who matter. 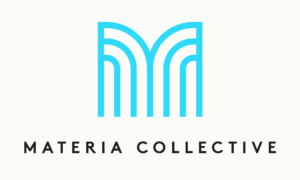 Founded in 2015 by Sebastian Wolff, Materia Collective began as a collection of musicians seeking to celebrate the music of Final Fantasy with a massive arrange album. Materia Collective has since grown into a label that produces and releases original music alongside creative interpretations and arrangements of new and classic game scores. Today, Materia Collective features an international array of musicians, brought together by a passion for gaming, music, and creative entrepreneurship to continue developing the unique identity of the group. Arturia dare to do things differently. A team of passionate musicians, their aim is to bring the power to make music to anyone who shares their passion. Affordable analog synths; groundbreaking digital hybrids and controllers; legendary vintage synths and keyboards brought back to life as software instruments, complete with 21st century upgrades. Whatever genre of music or style of soundtrack, Arturia create the tools for you to explore audio in ways never before possible. Makers of finely-crafted sample libraries created by composers, for composers. From acoustic instruments to synthetic sounds, always deep-sampled: exhaustive articulations, dynamic layers, round robin variations, and 'sweet-spot' recordings. Instruments are designed for maximum ease-of-use and a great sound right out of the box. Founded in 2008 we work hard to address the needs of modern composers and are proud to call thousands of musicians around the world our customers. Tazman-Audio is a small audio developer that is committed in developing high quality affordable software for game and audio productions. With over 17 years of professional audio experience in game development we are proud to announce our latest product called Fabric. Sound Librarian's catalog of products and services covers education and training, audio production and an ever growing sound effects library. We support a variety of industry groups and events across the world and are passionate about advancing the understanding and importance of audio within media production. D16 Group Audio Software officially launched in 2006 with the aim of producing virtual instruments and effects for producers and musicians. Today, D16 Group Audio Software has become a premium audio plug-ins supplier. Consistently delivering high levels of quality and the will for improvement has allowed D16 to create virtual instruments that set a new standard of sound perfection and effects that take creativity to the next level. Beautiful sound... Fantastic workflow. These are the foundations of FabFilter who create powerful audio plug-ins with superb sound quality and innovative interfaces. To achieve this, FabFilter continually rethinks and challenges industry standards and they are never afraid of reinventing the wheel. Sugar Bytes was founded by Robert Fehse & Rico Baade in Berlin, Germany. Robert studied informatics and worked for Native Instruments until Sugar Bytes was born, he is a one-man think tank and cares for first class code and consistent concepts. Rico Baade is formerly known as Reaktor legend "Programchild" and earned worldwide appreciation with Sugar Bytes, living his passion for sound and design. Together they formed Sugar Bytes to provide better sounding, better looking audio software that is easier to use and cheaper to get then everything else out there. They produce products that can do more stuff with less buttons and have more features with fewer instructions that are simply more fun and less expensive. 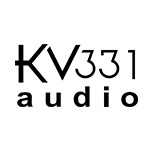 Based in Turkey, KV331 Audio is a music technology company that specializes in creating top quality software synthesizers. KV331 Audio has revolutionized the soft synth market with the creation of their flagship product "SynthMaster", which is an 'all-around' semi-modular software synthesizer and effect plug-in that features many different synthesis methods. KV331 has created several variations of SynthMaster in order to satisfy the needs of a wide range of customers. 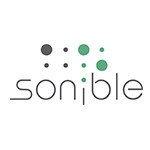 After years of working in the recording arts and live sound engineering Sonible decided to simply build the tools they wanted themselves. They have turned their practical insights into dependable and efficient tools that simplify audio workflow. Graduating the pioneering audio engineering program in Graz gave them a deep understanding of the theoretical aspects of audio technology. DigiPen Institute of Technology is an educational leader in the teaching and advancement of the arts and computer sciences as applied to the world of game and software development. As the first school in the world to offer a bachelor's degree in game simulation technology, DigiPen has advanced the digital entertainment industry by preparing students to become skilled artists, designers, and engineers. DigiPen alumni have proven to be among the most sought-after employees in the games industry and beyond. In addition to being credited on well over 1,000 popular game titles over the last 20 years, they continue to advance the boundaries of what technology can accomplish. Beginning in 2012, DigiPen began offering two degree programs with a strong emphasis on game audio development, the Bachelor of Arts in Music and Sound Design and the Bachelor of Science in Computer Science and Digital Audio. Recording Studios, founded in 1996, are located in the heart of Nashville’s famous Music Row. Purchased from the founders in 2001 by Belmont University, the studio remains a fully commercial facility but has added an educational component in conjunction with the school’s College of Entertainment and Music Business. Among the world’s finest recording facilities, it’s client roster reads like a who’s who of the music world spanning a range of styles from pop/rock to country to classical. Housed in a 100 year old Gothic revival greystone church, Ocean Way Nashville provides an exceptional acoustical space tuned specifically for music recording in the rich visual beauty of a church sanctuary. Since it’s renovation in 1996 from church to recording studio, Ocean Way Nashville has been the favorite destination in the eastern US for recording orchestral projects including game scores, film scores, trailers, pageants, chamber orchestras, quartets, and sweetening on countless hit records. Groups as large as 82 have recorded in the space. Clients over the years include George Strait, Matchbox Twenty, Harry Connick Jr., Faith Hill, The Mavericks, Willie Nelson, Train, Gretchen Wilson, Kenny Chesney, Three Doors Down, Sheryl Crow, Steve Martin, and Paul Simon. Scoring includes Sony Playstation, Oh Brother Where Art Thou, and many others. Video game titles include Dragon Age: Inquisition, Call of Duty Black Ops, Ori and The Blind Forrest, The Last Of Us, Resistance Burning Skies, Destiny 2, Call of Duty WWII, Call of Duty Infinite Warfare, Call of Duty Black Ops, League of Gods and many others. McDSP is an innovative Silicon Valley audio software company founded in 1998 by Colin McDowell. Beginning with the release of the pioneering equalizer plug-in FilterBank, McDSP has continued producing industry acclaimed and award-winning software titles. McDSP audio signal processing technology can be found in pro audio plug-ins for popular digital audio workstations including Pro Tools and Logic, the Avid VENUE and S3L live sound systems, as well as licensed algorithms in the gaming industry. McDSP audio algorithms are used by companies such as Activision, Bioware, and Microsoft, and in consumer products like the LouderLogic and Retro Recorder iPhone applications. As one of the four online platforms of Tencent, Tencent Games is the largest online gaming community in China. We at Tencent Games are a world-class online game developer and operator, dedicated to the sustained development of a wide array of online games which are trendy, fun, challenging, yet easy to play, catering to gamers’ tastes and interests. Through in-house development and external co-development, we have produced 100-strong popular games and swiftly established a solid presence in multiple segments of the online gaming market with remarkable performance. Since its founding in 2009, the audio team of Tencent Games has been committed to creating world-class, superb game audio. We work seamlessly with leading music composers and sound designers from the domestic and international gaming circles on a long-term basis to constantly improve the audio quality and artistic representation of our games, having gained wide recognition in the industry with myriads of excellent game audio works. K rotos develops and produces audio software for the entertainment industry. Krotos’ software, Dehumaniser, is a unique vocal software processor / sound design tool that produces studio quality monster and imaginary creature sounds in real time, negating the time, expense and effort that is traditionally required. Dehumaniser is used by Hollywood studios and AAA game companies around the world. Gigantic Software creates cutting-edge audio tools and software for game developers. Our newest software is Varantic. With Varantic, you can create endless variations from only a small set of input sound effects. Need a hundred different gravel footsteps? No problem. Need an arsenal of unique laser guns? Easy. With Varantic's frequency analysis engine, you can instantly transform a few sounds into unlimited variations. Varantic lets you do in seconds what used to take days. Our company’s technology is proven in AAA games and we’ve shipped with incredible reviews. Our customers include Disney, Electronic Arts, Hexany, Konami, Paramount, Sony, and Sphero. And tons of great indie teams depend on our our software too. Come make noise with us at http://www.giganticsoftware.com. The Most Comprehensive Collection of Music for Games and Trailers. NAMM is the not-for-profit association with a mission to strengthen the $16.9 billion music products industry. NAMM is comprised of approximately 9,200 member companies located in 102 countries. NAMM events and members fund The NAMM Foundation's efforts to promote the pleasures and benefits of music, and advance active participation in music making across the lifespan. For more information about NAMM, please visit www.namm.org, call 800.767.NAMM (6266) or follow the organization on Facebook, Twitter and YouTube. NAMM offers GANG members $25 tickets to attend, find the details on our member perk page. AMBEO sets standards in immersive audio, creating a highly emotional audio experience that will change music and sound forever. Differing from stereo audio or even 5.1 or 7.1 formats, AMBEO experiences include height to create an “as if you were there” feeling. This leap into sound immersion has been compared to the switch from mono to stereo that happened in the last century. AMBEO 3D audio yields such plausible experiences that it is set to eliminate the boundaries between reality and simulation. By revealing its strategic focus on 3D audio from very early on, Sennheiser has invited users and technology partners around the globe to share their ideas, feedback and requirements in the design of the company’s 3D audio solutions, thus shaping the future of audio together with Sennheiser. Thanks to Sennheiser’s broad audio expertise and product offering, application scenarios will range from music recording and playback to gaming as well as sports broadcasting, live events streaming and films. Kraft-Engel Management is one of the world’s leading agencies specializing in the representation of composers, songwriters and music supervisors for film, television, interactive games and theatre. Kraft-Engel clients include Oscar-nominee Danny Elfman, two-time Oscar-winner Alexandre Desplat, Oscar-nominee John Powell, 8-time Oscar-winner Alan Menken, Henry Jackman, Pinar Toprak, Bear McCreary, Christophe Beck, Germaine Franco, Garry Schyman, Christopher Lennertz, Oscar-winners Pasek & Paul, Austin Wintory, Christopher Tin, Marc Shaiman, Adam Gubman, Rich Vreeland and many others. Kraft-Engel agents include Richard Kraft, Laura Engel, Sarah Kovacs and Jeff Jernigan. With studio facilities in Nashville, TN, DR R and P offers Production, Recording and Mixing for all things musical. As a freelance REP (recording engineer/producer) for over 2 decades Dan has worked in virtually every style of music for Artists, Film, Television, Games and Theater. And being based in Nashville gives us access to finest recording musicians in the world. Our services include studio production of any instrumentation and style, as well as full composer support (pairing composers with orchestrators, contracting and budgeting), making the translation from programming to live recording seamless and enjoyable.&nbsp; And we really understand game audio and implantation (especially their influence on production decisions), so organizing recording or mix sessions for interactive or layered music cues is a snap. Recording large ensembles; film game scores, big band records, cast recordings. Mixing. Team management and leadership. Technically and creatively demanding projects. Global collaborations using proprietary e-solutions. Expert knowledge both digital and analog audio. Contact us today about making your project the best it can be. Hexany Audio is a Los Angeles based studio specializing in music and sound production for games. A team of highly creative award-winning composers and sound designers, Hexany’s work can be heard across numerous genres and platforms spanning the AAA, console, mobile, casual, and indie spaces. Hexany’s credits includes projects for companies like Disney, Activision, Ubisoft, Google, Intel, and numerous other developers. The studio was founded in 2012 and is co-owned by Richard Ludlow (Audio Director) and Matthew Carl Earl (Lead Composer). 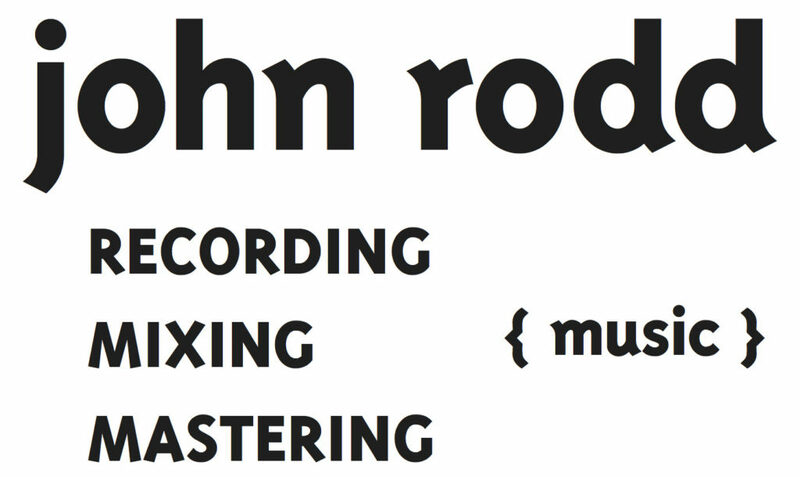 J ohn Rodd is a music recording, music mixing and music mastering engineer with decades of experience in all genres of music. He has worked at the world’s finest studios, including Ocean Way, Abbey Road, and seven years on staff at 20th Century Fox’s Newman scoring stage. Credits include Overwatch, EA Star Wars: Battlefront, World of Warcraft: Legion, StarCraft II: Heart of the Swarm, Star Wars: The Old Republic, Star Wars Kinect, Call of Duty: Black Ops II, Mass Effect 3, Assassin’s Creed Brotherhood, Breaking Bad, Get Out, Elysium, Batman: Bad Blood, The Lincoln Lawyer, plus over 150 major motion pictures. THE SOCIETY OF COMPOSERS & LYRICISTS (SCL) is the non-profit premier organization for professional film, television, video game, and musical theater composers and lyricists, and those working in our industry such as orchestrators, arrangers, music supervisors, music agents, music attorneys, music editors, copyists, recording engineers, and related jobs, with a distinguished 70-year history in the fine art of creating music for visual media. Current SCL Members include the top creative professionals whose experience and expertise is focused on many of the creative, technological, legal, newsworthy and pressing issues of the film music, television music, game music, and musical theatre industry today. ASCAP is a membership association of more than 330,000 U.S. composers, songwriters, lyricists, and music publishers of every kind of music. Through agreements with affiliated international societies, ASCAP also represents hundreds of thousands of music creators worldwide. ASCAP is the only U.S. performing rights organization created and controlled by composers, songwriters and music publishers, with a Board of Directors elected by and from the membership. ASCAP protects the rights of its members by licensing and distributing royalties for the non-dramatic public performances of their copyrighted works. ASCAP’s licensees encompass all who want to perform copyrighted music publicly. ASCAP makes giving and obtaining permission to perform music simple for both creators and users of music. Composer Press is a printing shop specializing in sheet music for recording sessions and performances. Materials are printed and assembled in Los Angeles but can be shipped anywhere in the United States. Designed to best serve independent musicians, Composer Press offers professional options at a reasonable price. Composer Press is founded and run by Candy Emberley.